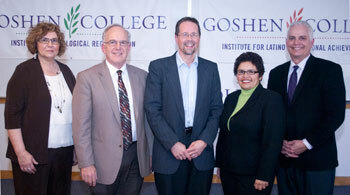 (Left to right) Academic Dean Anita Stalter; Executive Director of Merry Lea and Director of the Institute for Ecological Regeneration Luke Gascho; Director of the Mennonite Historical Library, Goshen College Professor of History and Director of the Institute for the Study of Global Anabaptism John D. Roth; Director for the Center for Intercultural Teaching and Learning and the Institute for Latino Educational Achievement Rebecca Hernandez; and President James E. Brenneman. GOSHEN, Ind. 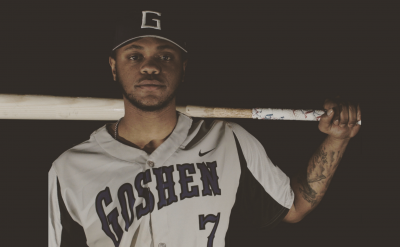 – An “exciting new chapter” has begun at Goshen College, according to the college’s President James E. Brenneman on March 24 as he launched three institutes, all focused on the college’s distinctive academic strengths as they relate to faith. The projects and programs of the institute will be designed on the integration of four core themes: land, community, faith and peace. “The intersection of these four themes will create a powerful synergy,” Gascho said. Conducting research, maintaining field collections and data, delivering formal academic courses, hosting symposia and disseminating learnings through various media to an array of publics will achieve the goals of the institute. 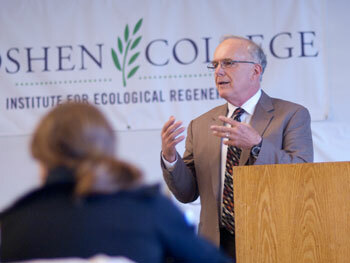 “The institute provides a context for studying, integrating and applying the interdisciplinary constructs of resilience of the land, responsibilities of people in community, and commitments to peace and justice,” Gascho said. The current and planned programs of the institute include the agroecology summer intensive and a sustainability semester in residence for undergraduate students, a master’s in environmental education, and conferences and symposia on topics of ecological stewardship. Undergraduate and graduate students will have direct involvement in the goals of the institute through various research projects. 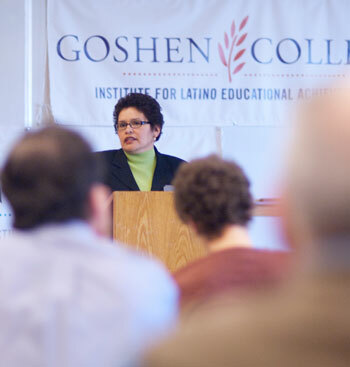 The Institute for Latino Educational Achievement is the research arm of the Center for Intercultural Teaching and Learning (CITL) at Goshen College. The research agenda of the institute is focused on factors that impact the academic success of Latino students in higher education settings, particularly in small liberal arts colleges in the Midwest. The current and planned research of the institute includes a three-part series titled “Latinos in Northern Indiana”; research on faculty and students of color in the Council of Christian Colleges & Universities (CCCU); and community, schools and families action research. 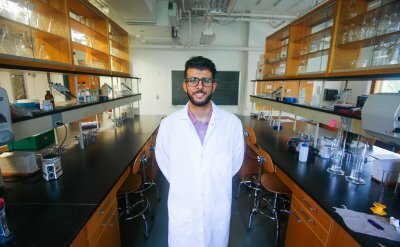 Undergraduate students, along with faculty and visiting research fellows, will participate in the institute’s research agenda. 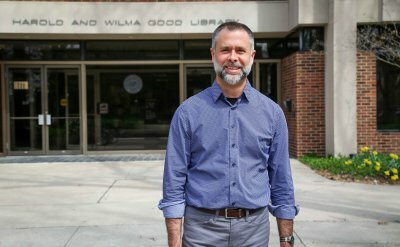 The institute – a program of the college’s Mennonite Historical Library (MHL), one of the world’s most comprehensive collections related to Anabaptist and Mennonite history– will build on a rich tradition at Goshen College of Anabaptist-Mennonite studies, the unique oncampus resources of the Mennonite Church USA Archives and the expertise of faculty. The institute will help to nurture a new generation of scholarship and exchange explicitly oriented to the global Anabaptist church. 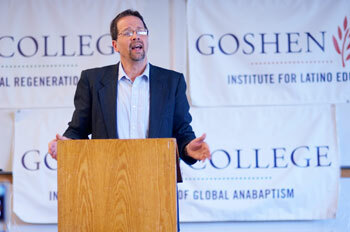 “The institute will serve as a visible and vibrant point of intersection between Goshen College students, Mennonite Church USA, the worldwide Anabaptist communion and the rapidly expanding global Christian church,” Roth said. The current and planned research of the institute includes the Global Anabaptist Wikipedia, a Global Anabaptist History publication series and participation in the Multi-Nation Anabaptist Profile. The current and planned programs of the institute includes regular conferences, international partnerships with Anabaptist Study Centers, visiting scholars and church leaders and hosting of global church partners. Each year, the institute will identify a Goshen College international student who is associated with a Mennonite church to serve as a student intern or research assistant, as well as offering other student research opportunities.